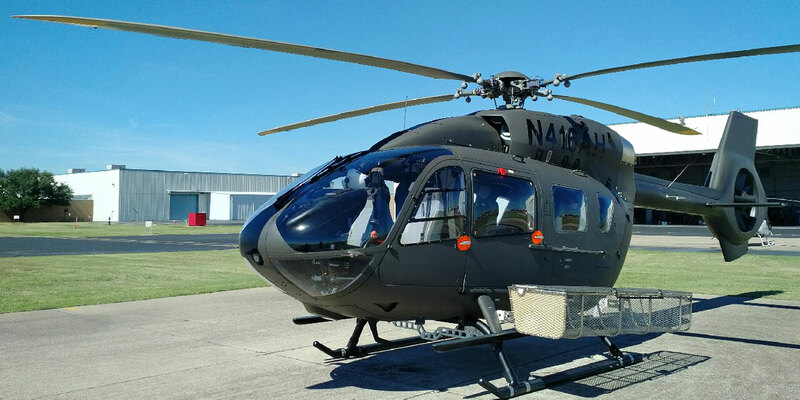 The new utility basket developed by Dart Aerospace and Airbus Helicopters for the H145 features a quick-release design and a 200-lb pound capacity. Dart Aerospace (Booth C5551) and Airbus Helicopters have received FAA STC approval for a quick-release heli-utility-basket for the Airbus Helicopters H145 that was co-developed and co-designed by the companies. The first unit has been provided to San Diego Gas & Electric. The basket can transport up to 200 pounds of cargo and features a self-locking lid mechanism to secure cargo in flight. A single person can attach or remove the bucket from its brackets in less than one minute. “The Dart team appreciates the collaboration of Airbus Helicopters and SDG&E to optimize the design of this quick-release basket,” said Dart Aerospace president and CEO Alain Madore. “Airbus forsees a strong need for the H145 basket to service the demands of the growing utility market for this aircraft. We are pleased Dart was able to successfully execute this project under the tight time constraints,” said Airbus Helicopters program manager Kath Six. EASA validation for the basket is expected by the second quarter.